Posted: Friday, June 19, 2015. 6:08 am CST. Friday, June 19th, 2015. BMG: From the sale of Blackadore Caye to actor, Leonardo Di Caprio, to Former’s top ten places to visit in 2015, Belize has certainly received its fair share of positive international publicity. Today, however, our nation has been placed in the spotlight by the European Union, who has listed Belize among 30 of world’s worst tax asylums. 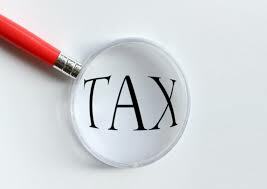 The list was published on the heels of the European Commission’s plan for tackling corporate tax avoidance. Aptly named the Tax Transparency Package, its main function is to enforce the collection of tax from companies in their respective profit-making areas, rather than allowing them to redirect funds into low-tax arenas. Pierre Moscovici, the current European Commissioner for economics, taxation and customs, feels that the publication will drive countries to adopt international standards. He believes that the absence of proper tax collection in these countries further fuels the ideals of the “rich getting richer, and the poor getting poorer”. Blacklisted nations were criticized by at least ten EU member states about the level of tax evasion in their territories. Interestingly, however, notorious tax avoidance hubs like Luxembourg and Switzerland were not included on the list. The complete list includes fourteen Caribbean countries: Antigua and Barbuda, Bahamas, Barbados, Belize, Bermuda, British Virgin Islands, Cayman Islands, Grenada, Montserrat, St Kitts and Nevis, St. Vincent and the Grenadines, The British Overseas Territories of Anguilla and the Turks and Caicos Islands. Other blacklisted countries are: Andorra, Liechtenstein, Guernsey, Monaco, Mauritius, Liberia, Seychelles, Brunei, Hong Kong, Maldives, Cook Islands, Nauru, Niue, Marshall Islands, Panama and Vanuatu.